Book your appointment for mom, dad, or the kids! 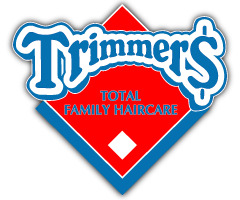 At Family Trimmers Ltd., we pride ourselves on offering top-quality haircare services at affordable prices for the entire family. For a team of dedicated hair stylists serving Prince George, Quesnel, Vanderhoof, Mackenzie, and the surrounding areas, look no further than Family Trimmers. We will not just meet your expectations, but exceed them! Our hair services include cutting and styling for the whole family. Our team can create elegant cuts for mom and dad, or give your child a haircut regardless of their age – including babies! Our kids’ section has smaller chairs, as well as a TV and videos to keep our little clients focused during their haircut. We offer several promotions to keep our prices affordable for the whole family, including the Family of 4 discount and gift certificates. Keep your new haircut looking great by treating it with reliable, effective haircare products for your hair. One of the best things about Family Trimmers is that you don’t need an appointment! Drop in when your busy schedule permits. Please contact us today for more information or to schedule an appointment. We provide a wide variety of hair services. We supply hair products for men and women from Joico and American Crew®. Get more from Family Trimmers with our discounts!